Struggling teams facing possible elimination plunge back to action with one thing in mind—survival. With the elimination round reaching its homestretch, teams on the bubble are desperate as they all need a win to keep their campaign going in the 2019 Philippine Basketball Association Philippine Cup. 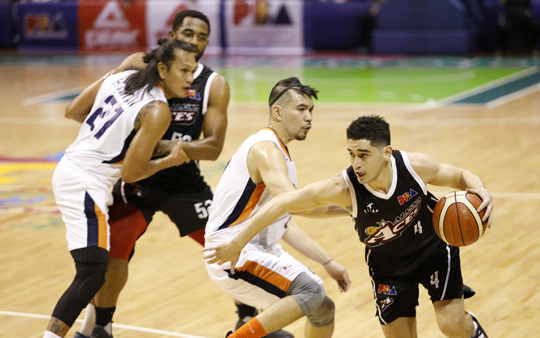 The Alaska Aces (3-5) and the Meralco Bolts (3-6), teams who are in danger of being ousted, figure in a critical tiff at 4:30 p.m. and are bound to go separate paths even. The Magnolia Hotshots Pambansang Manok (3-5) and the NorthPort Batang Pier (2-5) do the same at 7 p.m. in another vital encounter at the Smart Araneta Coliseum tonight. At this point, all these four teams are in dire need of a victory to keep their sagging chances of making the quarterfinals alive. The Aces and Hotshots and are currently tied at eighth which is the last ticket to the quarters. Meralco and NorthPort are on the outside looking in. Only the top eight teams will enter the quarters. The Aces and the Bolts are both coming from losses and are both looking for a timely win when they go head-to-head. In fact, Alaska is in the midst of a three-game losing streak. Despite losing its last assignment, Magnolia is hoping to grab the last ticket to the next round with three games remaining in its schedule, including its face off with the Batang Pier. On the other hand, NorthPort is now facing a do-or-die situation. It needs to sweep its remaining four games to give itself a chance of cracking the quarters. After a 2-0 start, things went sour for the Batang Pier as it hasn’t seen daylight for the longest time, losing five straight games after.